Moto and Lenovo are expected to show off new Moto phones on June 9 at Lenovo Tech World, one of which is rumored to be insanely thin at just 5.2mm thick. In the lead up to that event, Moto’s Twitter account has started throwing it back to previous phones of theirs that were not only very thin, but iconic. 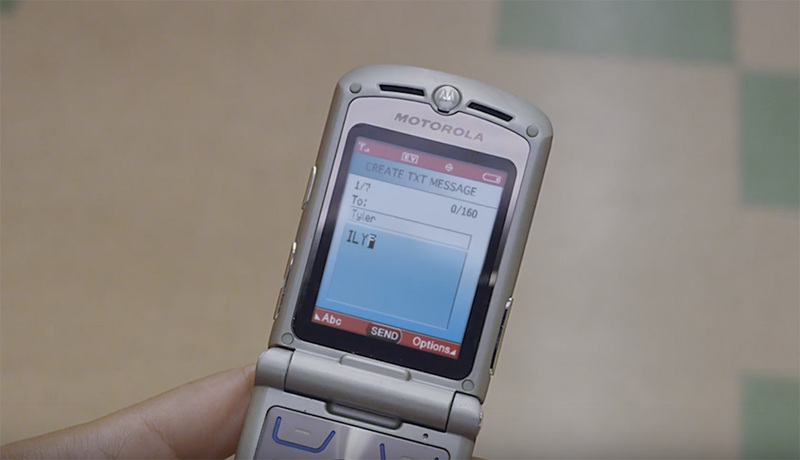 In the video included here, you’ll see Moto take us back to the days of the original RAZR flip phone, a phone that we probably all have fond memories of, though this isn’t the first time that Moto(rola) has leaned on the successes of the RAZR for the launch of a new phone. Are they hinting at something here? The RAZR was indeed very thin for its time, just like the new Moto Z is supposed to be. Maybe the Z in RAZR is a hint at the Z in Moto Z too? Or maybe this is just Moto doing a #TBT on a Thursday to help us remember that this company, before it was owned by a Chinese computer company who can’t figure out what to do with it, was pretty awesome.